I can’t believe it is already August! Floral friends, time just won’t stand still. I had a busy spring with events and floral design classes (hence, no blog posts). 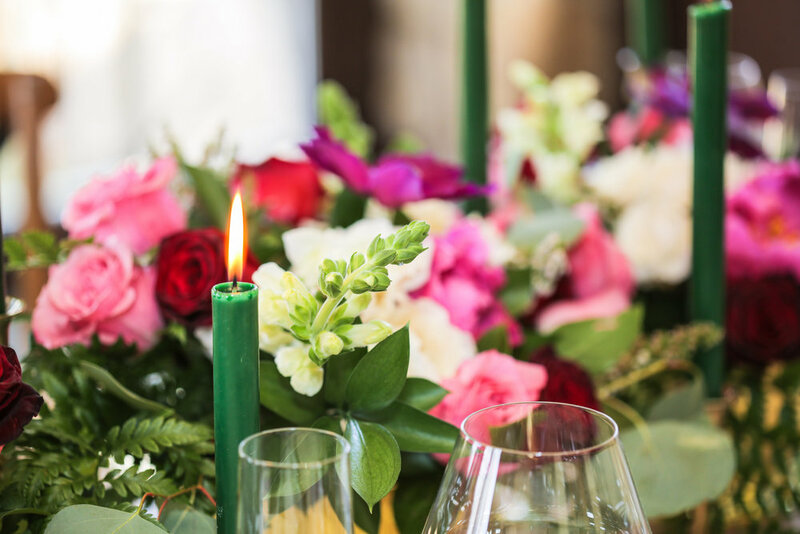 July and August can be quiet for floral designers since many couples prefer not to get married outside in the summer heat. For those couples that do decide to wed in summer, when choosing flowers they often pick the “queen” flower, or the beautiful dahlia. Valentine's Day isn't always red. It's good to talk with you again! By now the world is swimming in red roses. I love all shades of red (it is my favorite color family) but I actually like something different on Valentine's Day. I recently held my first floral design class at Zazu boutique in Ashburn, VA. It has been too long since my last blog post! I promise to do a better job of blogging in 2018. The cold weather we have been having can be really difficult to deal with. We still have events in the winter that need beautiful flowers though. There is nothing quite like the anticipation of the fall season. The crisp air, fall scents and changing leaves generate a bit of excitement for all of us. The fall wedding season is definitely upon us. As a wedding and event florist, my heart skips a beat in anticipation of the delivery of flowers for my fall weddings. Fall wedding season is nearly as popular as May and June weddings. I had the pleasure of attending a wedding a few days ago at Lansdowne Resort in Leesburg, VA. The burgundy and navy tones were so elegant and remain very popular. I also designed flowers for a wedding reception in Herndon, VA last week. The bride wanted beautiful fuschias, pinks and purples and that is what I delivered. The jewel tones we see in fall are a bit more formal than the carefree bouquets of summer but they are certainly equally gorgeous. I have several more upcoming fall events and I do my best to include the gorgeous colors that we see so much of at this time of the year. Here's to a busy fall wedding and event season. We wish happiness and a lifetime of love to all engaged and newly married couples in Northern VA! Hi there! I'm Shirley Goodwin, owner of JR Flowers in Leesburg, VA. Thanks for taking the time to check out my blog. I'm new at blogging so bear with me! Hopefully you have a love for flowers like I do.